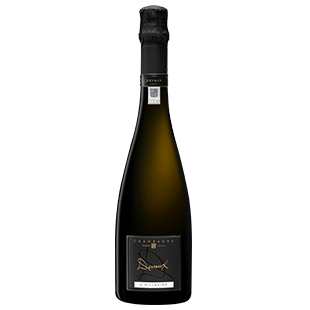 "D Millésimé displays a deep gold colour with hints of straw. Subtle and elegant aromas of white peaches and citrus zest are followed by light brioche notes. Fresh on opening, the palate evolves elegantly towards citrus notes, finishing on intense notes of dried fruit and pastry. A wine to enjoy now but can rest in the cellar to develop in complexity and intensity."